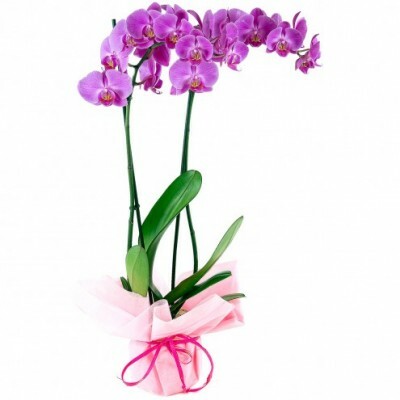 Long-lasting and elegant, this pink orchid plant with two stems will outlast your words. Beautiful phalaenopsis pink orchid plant (two stems) with delivery available to all cities in Brazil. Floresnaweb offers same-day delivery of flowers and plants to all cities in the country.